Set up a couple of croquet wickets as a putting course on the tee and have the teams “putt through” while they wait to go. Take a video, digital photo or Polariod photograph of the foursome and ask for their email address so you can send it to them. Or play the video at the banquet. Mail them a framed photo. Have each foursome drive marshmallows or cotton swabs while they are waiting. Farthest drive gets a prize from you–visor, club cover, etc. 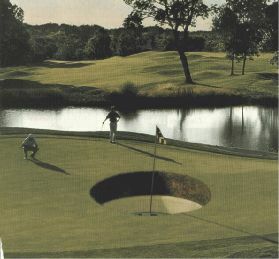 Recently I read an excellent blog post about Golf Tournament Signage by Impact Sign of Coquitlam, BC that I think is a perfect complement to my original post. Can you remember 3 sponsors of the event? In fact do you remember any of the sponsors? What business were they in? What products or services did they offer? If you organize a tournament and your attendees can’t answer these questions, your sponsors could be getting better value. This could make it more difficult to attract new sponsors and worse yet retain your your current sponsors. Wait! It doesn’t have to be this way. We are approached by organizers who tried to save a few dollars and purchase cheap online signs & banners and signs and found the results less than satisfactory. Most organizers did it with the best of intentions; keep the cost down and give more to their charity. They also sincerely hoped that sponsors would benefit from their affiliation and attendees would buy their products and services. Here’s a suggestion for those of you who may be wondering how to ensure you have happy sponsors. Buy a digitally printed sign that is an accurate reproduction of their logo and colors. 1. Offer different sponsorship levels. Level one may be black and white. Level two a full color. Level three a larger sign with a full color logo. 2. Include a full color logo sponsorship sign as a value added for the sponsor. Sell it with the package instead of the black and white. However, bump up the sponsorship cost just a little to cover the difference. 3. Design the signs so that sponsors can take them home and use them in their business or for other promotions. 4. Use your full colour digitally printed signs as part of your next year’s marketing. Sponsors are more likely to commit when they see that you are offering them value. One more thought. Sponsorship signage, is really not expensive when you consider the value they add to a sponsorship. 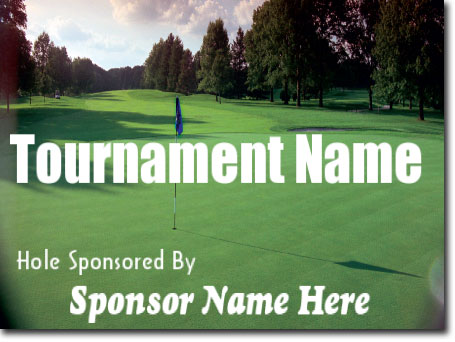 If you’re having a golf tournament in Philadelphia, New Jersey, Delaware, or any other place warm enough for 18 holes– ask ImMpact Signs how they can add value to your sponsors and increase their return rate. Impact! Sign and Graphics is a full service sign company serving Vancouver and the lower mainland. They specialize in wide format printing including vehicle and window graphics as well as development and other exterior signs. Call them at 604-552-4950 or email inquiries@impactsignbc.com. Check out our new Limelight Marketing website. Specializing in real estate and small business websites, SEO, Branding, Direct mail, Realtor Marketing, WordPress blogs and websites, Social Media and marketing plans.